The tried and true way Ashes Away Chimney Sweep cleans your flue is from the top down with a wire or poly brush. 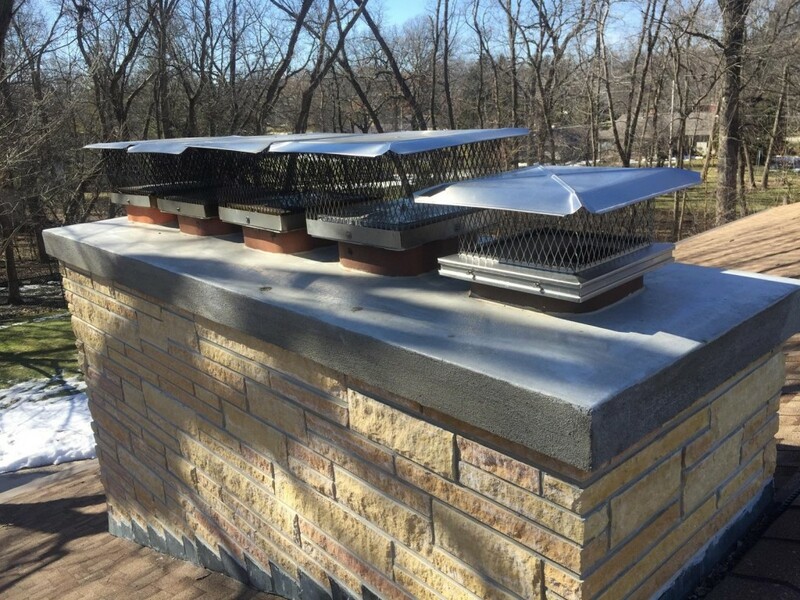 Chimney conditions are checked from the flashing, brick work/mortar joints to the chimney crown. Bird/rain caps are cleaned and inspected for proper size screens (too small of screen will clog up with soot or snow during regular use). Storm collars around pipes are examined for water tightness and chimney heights are assessed for proper draw. Flues are inspected for general condition and obstructions. Down below in front of the wood burner are tarps and a professional grade vacuum with a HEPA-three filter system. Brickwork and mortar joints in the firebox are cleaned and small repairs are made. Dampers are cleaned and made operational. Smoke chambers are scrubbed and smoke shelves cleared of fly ash, soot, and creosote so no musty odors will occur during the summer months. And finally, the glass is scraped and cleaned for your viewing enjoyment. With over three decades experience behind them, Greg and Lisa take a great deal of pride in the work they do and will take the time to instruct you on the proper, safe way to use your wood burner for your total enjoyment. Chimney inspections are vitally important.